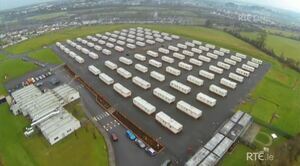 The designated home of a new Direct Provision centre – target of two suspected arson attacks – and scene last Sunday of an anti-racism rally where, amid some confusion, villagers, who objected to the impression that locals were being branded racist, clashed with organisers. 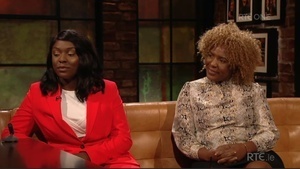 ‘Niamk Kiernan and the rest of the Rooskey locals who are overwhelmingly in agreement with her (I’m from here) are not saying that the hotel should not be offered up to asylum seekers. The fact is that these people are being dumped in this hotel in the middle of nowhere with no access to any amenities or chance of employment/social enrichment. There’s a lot of important context for why Rooskey and its people are so upset by this asylum centre and the “it all boils down to racism or xenophobia in some way” stance a lot of people find themselves taking. A stance which is understandable when you see just how much emphasis is being placed on the racism agenda to the point of neglecting the actual and reasonable concerns we’ve been trying to raise. – There hasn’t been a bus service in the area for going on a decade now. Getting from the village to neighbouring towns and culture/entertainment is both a necessity (there’s *nothing* in Rooskey) and a serious struggle. The isolation is a pretty big contributing factor for the high suicide rates Roscommon, Leitrim and Longford have experienced in the past years (fyi Leitrim has the 3rd highest rates in Ireland currently – behind Cork and Monaghan). – The GP clinic only opens for a few hours a week for prior appointments only. This is a service that for as far back as I can remember was struggling to cope with servicing the area; you could be in the waiting room for up to three hours back when it was first come first served. The appointments-only schedule means that the GPS don’t lose their sanity, but it certainly means that many people – the elderly in particular – simply delay seeking medical help and suffer in silence, or have to arrange transport to the next closest GPs in Mohill or Longford. The main point is that it is an already overloaded system that definitely would collapse with such a large influx of new residents. 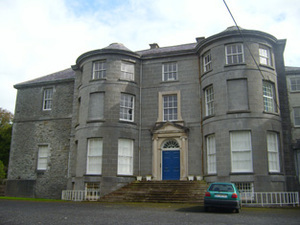 – The Garda Station is open for a grand total of 2-3 hours per day. You have to hope that in the event of an assault, burglary or domestic violence incident, the perpetrator(s) have the decency to carry out their business during these working hours – the chances of anyone actually turning up to investigate calls for help are almost hilariously low even when someone’s in office. – The nearest hospital’s A&E unit was shut down in 2011 which means that for the all too frequent emergencies residents encounter – when the young people have had to move away to find jobs and the population is aging its a regular occurrence – unless an ambulance was passing the area en route to Sligo or Portiuncula at just the right time you’re looking at a bare minimum of 45 mins for help to arrive, before facing a 2 hr drive to receive critical treatment. And that’s if the medic drives like the clappers the whole way. God forbid you have to avoid traffic or the perpetual and ineffectual roadworks – the Golden Hour crucial for preserving life is a dot in the rearview mirror by the time you roll up to the hospital entrance. – The village is an empty shell. A large portion of main street is vacant buildings, or in many cases the dilapidated ruins of them. There’s four pubs, a post office, a community centre (unsure how much use it gets these days but I know people are trying to keep it entertaining), one shop, two takeaways, a primary school, nursing home and a church. There’s nothing recreational for people to do in the village if they aren’t inclined to be drinking, the broadband is about as reliable as warm, sunny weather in Ireland, and if you don’t have a licence and car of your own you’re for all intents and purposes stranded in the middle of nowhere. – As noted earlier, there are no job prospects at all around here. To be earning money you’re either going to be a farmer or you’ve got to move to where the work is. The loss of the two local factories (VistaMed relocated this decade and Hanley’s went up in flames back in 2002) in addition to the closing of the Shannon Key West Hotel in 2011 means that the primary – heck, the sole – attraction we have at this point is attracting tourism from the passing boats and descendants of emigrants returning to find their roots. You can imagine how helpful the lack of accessible public transport is on that front – and visitors having no options other than the four pubs for entertainment doesn’t make for a great family trip (the wojus internet service is the icing on that boredom cake). This has meant that moving to Dublin/Galway/Cork or even migration is what the majority of the younger generation here are resorting to – we all know trying to maintain a y balance life is a struggle in Ireland with the jump in renting costs and drop in available accommodation. There’s absolutely nothing for us here. 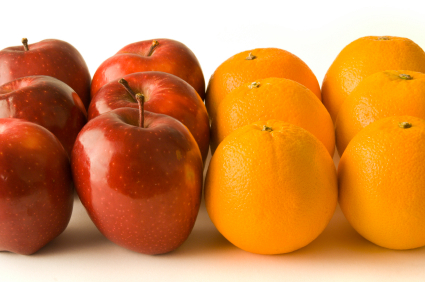 Monday: You’re Not From Around Here, Are You? 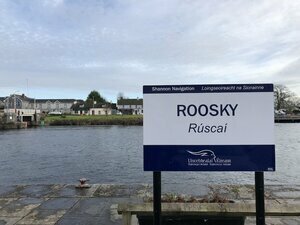 Posted in Misc and tagged Direct Provision, Roosky at 9:56 am on February 20, 2019 by Bodger. that’s a very simplistic view. Did you even read the piece? Generally speaking refugees don’t bring a lot of foreign investment with them. They’re more often the ones in need of services than the providers of such. At least I think that’s how it works. If that’s what you got from that then you need to read it again. Explain to me how dumping asylum seekers, so no job, no money and no real rights to anything will improve the area. Explain how asylum seekers will make the government provide and pay for an actually doctors surgery, a bus service, revive the town and also actually have an effect garda station. I could keep going. Rural Irish towns are dying. The future is in intensive agriculture where it is appropriate, rewilding where it’s not, and tourism where possible. Anything else should be let go. That’s a bit defeatist. Roll out high performance broadband and get businesses online and supported by co-operative schemes and the enterprise authority. That’d be a start. How much would it cost to roll out high-speed broadband to every hamlet in every townland in Ireland? Will rural dwellers pay for this, or will urban dwellers be expected to foot the bill for this as well? Less than the children’s hospital, surely. Its quite possible to provide mobile data networks at a fraction of the cost of cable. In some states, mobile data download is faster than in-site wifi. It depends on population density. Adding a mobile phone mast that covers an area with 200 houses just isn’t economically feasible. Perhaps you’ve missed the absolute pooshow that doing precisely what you are talking about has become? I’m quite aware of the National Broadband Classic Money Down the Drain and Pay Consultants but No Action Pooshow. Doesn’t mean we should stop demanding it. It should change what we are demanding. As has been noted Fibre to the door of every house is a complete pie in the sky and wireless schemes are the way forward. Crazy, right? Next thing you know they’ll be demanding an electricity supply to every house in the country. Pie in the sky, I tell you!!! Hey Mickey. Here’s something to keep you occupied, compare these for me will you? Far too highbrow for me, regrettably. I’ll have to leave research such as that to individuals possessed of your stellar intellect. Are you from Cork or Dublin city by chance? …the nearest McDonald’s a short stroll from your front door. and what’s up with that UN Migration Pact?! It just seems like magical thinking that taking in a million refugees over the next 2 decades won’t lead to some serious social unrest. I suspect our own government doesn’t really believe in it but have just signed up so they can get a pat on the head and sit at the ‘big boys table’. It’s non-binding after all. We know that increased immigration is being caused by these perpetual regime change wars (which of course Ireland is complicit in through use of Shannon), but what’s missing from one side of the migration pact is some kind of commitment from those countries such as the US, UK, France, Germany, etc to desist from continuing along those disastrous lines. Without that, it just feels like we’re all being urged to get on board to a brave new world as molded by psychopathic globalist elites. Its good to get informed about these things and based on the above, it does seem that a disservice is being done to all in regards to this – residents and refugees alike. Why put them in a place with so few facilities and a local population that feels such a sense of abandonment? No wonder they are up in arms and the refugees are in the middle of it? Because these are the kind of places that have empty hotels to facilitate hosting refugees. The owners have decided to put an empty building to use which may even breathe a bit of life back into a town that’s been declared dead by the residents. How are they going to breathe life back in the town with no income and no jobs (or the legality to get jobs)? Individuals and families can be assets to a community in ways that aren’t just confined to income or employment. They have experience and knowledge and probably time on their hands and can be invited to enrich a town socially or through voluntary projects and outreach. But that would require consultation and organisation and some basic supports for the locals and we have a political establishment that only plays lip-service to the kind of values such efforts would represent. @Nigel isn’t there a danger of Western-centric thinking – the idea that our culture and way of life is superior and therefore any refugees should automatically be thankful to have arrived here. The hotel will need staffing. There’s a few much needed jobs for the locals. The hotel will be a direct provision centre not some sort of exotic marigold hotel. Yes, but there will still be jobs. I imagine more than there were for when the building was used as a hotel. Roosky sounds defeated. Maybe an infusion of new blood, fresh energy and ideas is just what it needs. But I can see why people already living there are casting a cold eye on the logistics and saying, no. I would take the claims of the article, which are well argued, if it explained why Niamk Kiernan was protesting with well known racists from outside the area. I mention ‘outside the area’ as she seem to take umbrage at anti-racists coming from outside Roosky. If the issue is amenities and access to vital services and the solution is to set fire to establishments in the town then who is asking the Question? I think it’s a great post and highlights such an obvious missing step for the asylum center location selection process. It would be such an obvious problem solve on all fronts, its community development 101: give the community better resources and enable to them host asylum seekers in the community. It is built into aid programmes overseas when a host population have a huge influx of refugees – its standard practice to support both communities with services, or you risk resentment and a backlash from the host community. In this case – they have such blatant existing needs and the community is dying. This is not racism, its fear and scarcity mindset brought on by, well, scarcity. The other major problem to this scenario is that asylum seekers cant actually rejuvenate the town because they are economically limited to the point where they cant engage in social and civic life. If you gave them rent and social welfare support instead of direct provision, all that cash would pour directly into the town, creating and sustaining jobs, and the newcomers would interact with the community and eventually assimilate. How do we know the asylum seekers are genuine refugees and not victims of international human trafficking? You’re supposed to seek asylum in the first country you land in. Ireland is a long long way away from any conflict zone. But Those rules don’t seem to apply any more. Why not? It’s this EU nonsense being imposed on us? What is it about refugees coming to Ireland, as part of an EU agreement to share the burden, that has you so freaked out that you’re thrashing around having tantrums about human trafficking and the rules? So you’re fine with human trafficking then? Considering the current environment of continuous hate-hoax programming it’s not unreasonable to ask the question about who is coming here, from where are the coming and why? The hoaxes and the demented screams of WAYIST are designed to prevent us asking these essential questions. So – for the sake of clarity – I ask again: are you defending human trafficking under the ruse of asylum seeking? Because it sure looks that way. WATCH OUT REPRO! I have sneaking feeling this might be one a them loaded questions. What a typically infantile response. No I am not OK with human trafficking. Now how about answering my question. European Refugee Crisis is cover for forced, toxic and engineered migration. https://www.rte.ie/news/regional/2019/0212/1029015-rooskey_hotel/Minister for Justice Charlie Flanagan said he was “concerned and disappointed” at reports of the second fire at the hotel. He said: “This comes just five weeks after the previous fire at the hotel. This pattern of behaviour represents an unacceptable and worrying development and should be condemned by all. As usual this government learns nothing. The massively exaggerated problems with refugees in mainland Europe stem largely from people not being consulted about what was happening. Without this discussion accepting the refugees becomes an imposition and creates ill feeling that racist morons are only to happy to seize upon. This government has watched it happen and yet sees nothing wrong with following the same process here, sticking them down the country where what few facilities and services exist are already at breaking point, knowing there’s a compliant media and enough reactionaries happy to shout “racism!” at objections rather than consider them rationally. All politics is local and hopefully this lack of respect for their constituents will come back to haunt the local councillors on May 24th. Stop voting for people who have shown they don’t give a damn about you or your concerns. If politicians consulted ‘locally’ (not just in Rooskey, but anywhere), how do you think the consultations would go? I’m not suggesting the people in Rooskey are racist, either; its just an unfortunate fact that people are people everywhere, and while everyone excepts that these are necessary services, noone wants them on their doorstep. The X,Y,Z should then be researched and some of the worries could be sated. It is a far better option to communicate with the locals than to go with the short straw approach. Surely you see that. The objections are real of course but ffs using what are clearly intended as scare tactics to attack a building whose new use was intended to be serving as accomodation for real life people is all day long employing racism as a means to assert power, however little, at at time when the people who will hear that their future accomodation has been twice set alight. Seeing it as an issue for the polls is not being straight enough about the fact that this is scary behaviour and it is directed at people who have literally nowhere else to go. Rumour and hearsay is how you roll. Facts are irrelevant. Saw this as a comment and am glad to see it posted now. A welcome and levelheaded insight into what is being pounced upon by the worst extremes from either side. Surely a promise of some sort of investment should be tabled to try and resolve. At what point was it decided that the arsonists were local? And even if they are, why do you assume the decent people of Roosky support such behaviour? Right when this story first broke I said that both the residents AND the refugees were victims of this decision. It is unacceptable for the authorities to just wave the high hand and dump those people in such a place without the proper amenities and support services. If you are looking for racism, then look no further than them. they could have a positive impact on the area if they were allowed to work for a start. what a lot of people commenting here forget or don’t know, is you’re legally not allowed to work if youre an asylum seeker. so even if one of em was a doctor, and another could be his/her nurse/assistant, secretary .. they wouldn’t be allowed make it happen. and with nothing to do, nothing to contribute, locals will see them as a scourge and keep them locked out of soceity, they’ll be begging for money, because they’ll have to, they won’t have any money, and locals will be annoyed. the whole things doomed. As has been alluded to in these comments, this all feels orchestrated. Not just the fire and the compliance of media to push a racist angle, the entire situation!! Who thought this was a good idea in the first place and who thought that this ‘good idea’ would actually work? Another comment saying ‘they haven’t learned a thing – doing things the same way across Europe’ just further jiggles that red flag in my noggin. But i could just need a tinfoil change – after all the Government of Ireland only have their citizens best interests in mind….don’t they? We have a political culture that would rather avoid the effort of proper planing and consultation and education in order to reap shot-term (and for the public short-lived, if any) benefits and avoiding accountability for long-term disasters. This is just more of it. Yeah I can see how that would be the most plausible reason but may not be the whole truth in this Europe wide situation. It seems like there is actually an EXTRA effort to avoid any of the tasks you’ve mentioned. This gives a very predictable outcome from rural communities which in most cases, labels & silences them, giving gov an easier run of it for the next time around. So basically our glorious leaders policies are purposely fuelling any racist sentiments in this country. Divide and conquer yet again…and it looks like everyone is buying it. I think you’ll find that where you look for a conspiracy the truth is more likely to be plain old laziness and incompetence with a hint of strokes. It’s pure negligence. It’s the same with the environment, housing, health, infrastructure, homelessness: easily predicted negative outcomes acknowledged with a handwave while the business of technocratic muddling and seeking large-scale corporate investment through tax breaks are the only true policy priorities. This is centre-right government and its deficiencies are easily and predictably exploited by the hard right to promote populism while disenchanting and disempowering everyone else. There’s no conspiracy but there is an observable and repeatable process. @Repro: Admittedly, your’s was a predictable response to my comment. However, I am not looking for any conspiracy, this has all presented itself over the course of this crisis and to use the guise of gov apathy is a perfect cover and totally believable. It all just feels strategic. @Nigel: Nice comment. Again, I’m not looking for conspiracies. What I am saying is just that; observable and repeatable process…all across Europe. It stinks. Perception is a mirror Boj. Feelings aren’t proof of anything more than, perhaps, your inability to believe those running the show could really be that disinterested or disinclined. We’re stuck with a government content to do nothing about anything and able to get away with it because there’s no effective opposition combined with Sasamach meaning nobody will pull the plug. I know. It was a stretch but the song came a-leppin’ into my head when I heard (the) ‘Strokes’. @Repro: Slow clap…you picked up on the second last word of my comment. Now how about the rest of it? You’ve just settled on your ‘fact’, as has Nigel, that govs are lazy and crap…well duh! I’m not denying that at all. I’m also not talking about Brexit, or opposition or anything else other than what seems like a clear strategy being used to dispose of the asylum seekers while at the same time, undermining natives…ALL ACROSS EUROPE (for members who agreed with the migration deal). is there zero credence in this point…just write it off as laziness, ironic or wah! Turkey still cashing in on EU bribes..I wonder when that floodgate will ‘break’? What do you want? A round of applause for having a feeling? I don’t know that the lazy inept rubber stamping exercise is being mirrored all across Europe. You seem to believe it is so present your evidence. Can we call Roosky a dump? I haven’t been in Roosky since I was a child but my memory is of a beautiful place with lots of boats and a jetty. Definitely not a dump back then. Dumped. The asylum seekers are being dumped. Into these concentration camps and left to rot, with little attention given to eventual outcome, so yeah, dumped. Its not offensive and if I were to be treated this way its a term I’d find appropriate. What else could it be but dumped? Who made this decision to DUMP those people there? In the back end of nowhere, with not even cooking facilities, in over crowed slum like conditions, no money and no chance of working even if it was legally possible? Those who made this decision want to make these unfortunate’s experience of living in Ireland as miserable as possible. The people of Roosky are most certainly on the same side as the refugees. Stop fighting with each other lads and tackle the core problem. 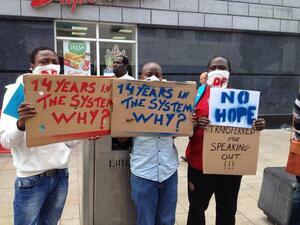 Two words- Direct Provision- Ireland’s future shame in the making. Uncontrolled migration – often under the guise of “refugee asylum seekers” leads to chaos in Paris. You are the sort of clown who assumes this clown’s accent is Indian yeah? Good piece – it’s your village, you should have been involved in a consultation process and you have a right to speak out if you see this as creating problems down the road for all involved. End of. And shame on the people who use race as a weapon and make slanderous claims about the community. Don’t expect sympathy from the great unwashed on here who are informed by their daily dose of liberal gratification and virtue signaling…people who see it as a virtue to be detached and uninvested in where you come from.